The impact of additive manufacturing in the manufacturing industry has been significant and is only poised to grow in both usage and downstream impact. 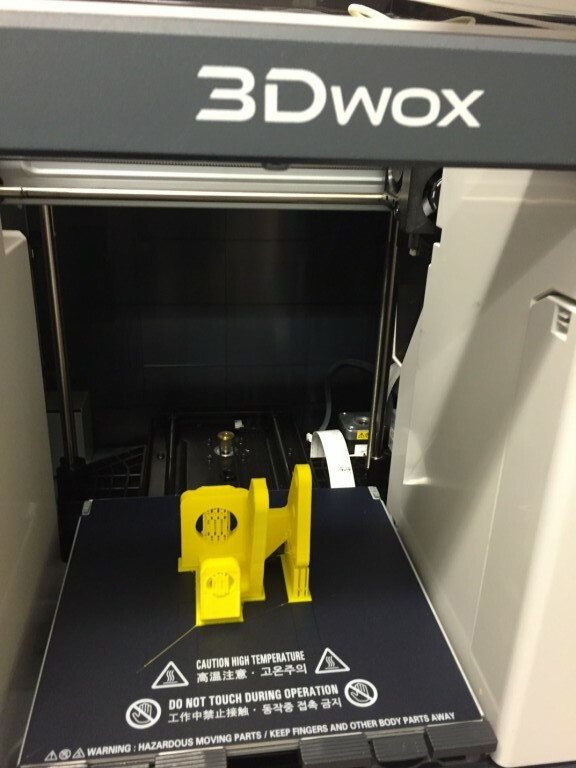 Manufacturers in a wide variety of industries are actively piloting and implementing 3D printing today. Prototyping continues to dominate the reasons why enterprises pursue 3D printing, but the opportunity to improve new product development and time-to-market are long-term goals. The first developer of copiers and fax machines in Korea in 1960. The first SOLIDWORKS customer in Korea in 1996, also one of the country’s largest. The number-one brand in Korean copier market. The first 2D printer company with massive production capabilities to expand into 3D printing business. Unlike other additive manufacturing companies at hundreds or thousands of machine-production scale, Sindoh is applying experiences accumulated through millions of 2D printers into 3D printers. By leveraging 56 years of expertise and massive manufacturing capacities, Sindoh is able to ensure consistent quality, improve user experiences beyond technology, and provide competitive pricing. For example, Sindoh 3D printers reuse motors, timing belts, touch panels, chip on board (COB), and other components that have been mass-produced, fine-tuned, and proven in millions of 2D printers. 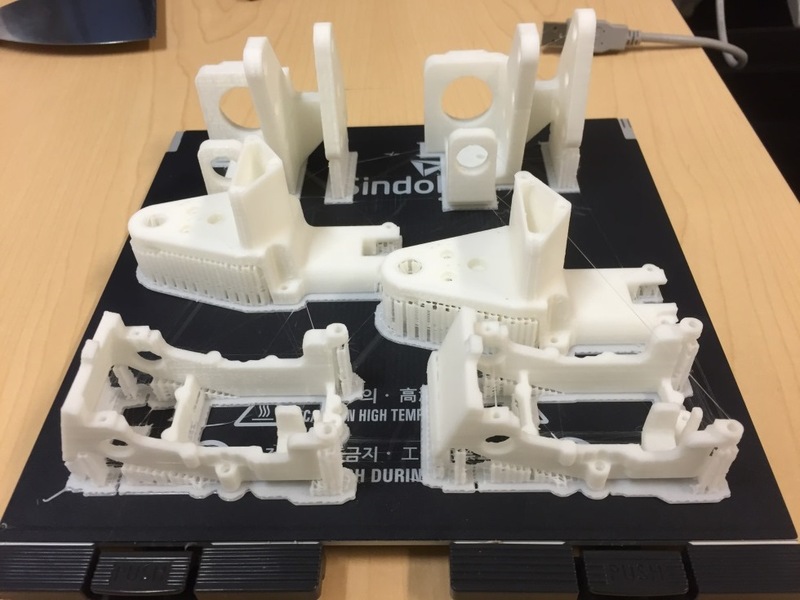 Also Sindoh engineering and manufacturing teams use their own 3D printers for prototypes directly, which validates and improves their capability and quality in an efficient closed-loop. 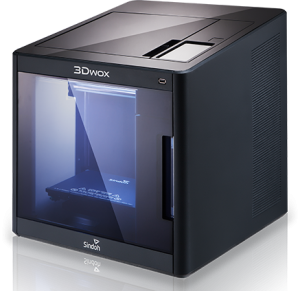 Now Sindoh has moved one step further: they have become a SOLIDWORKS partner and developed a full integration into SOLIDWORKS so that we can not only design, but also print in SOLIDWORKS. 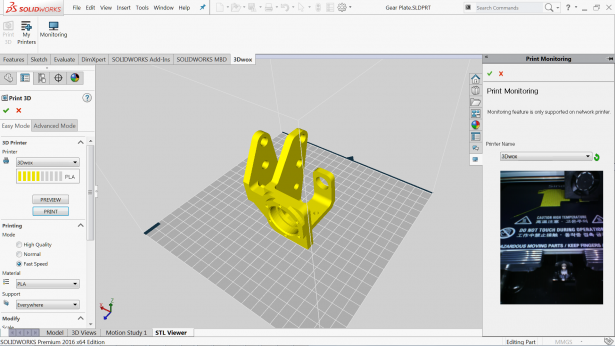 In the image below, inside of SOLIDWORKS, we can see a dedicated command bar for Sindoh 3D printer. 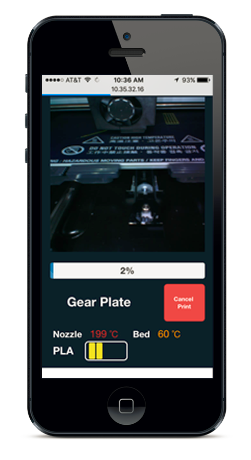 You can add a local or network printer just like 2D printers. 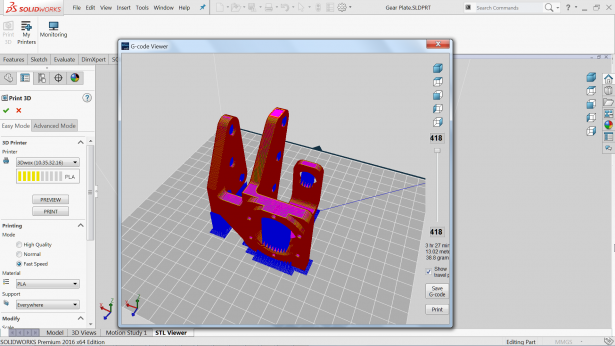 We can set print quality, slice the model, add support structures automatically and so on. Then once we hit Print, we can find the estimated time and filament needed. And, on the Task panel on the right hand side, we can even monitor printing progress. The camera feed can also be monitored on your phone. I know you cannot wait to get your hands on this machine yourself. You can find Sindoh is in Booth #702 in the Partner Pavilion at SOLIDWORKS WORLD 2016. Please check them out and print some SOLIDWORKS models yourself, or you can visit its webpage. I’d love to hear your comments below too.